With advances in neuroscience, technology, globalization and shifts in attitudes the way we sell must move with the times. During this special Encore Show we will look at how you need to adapt your traditional selling approach, how to get your non sales teams to also sell for you and look at key areas to improve your on-line sales presence. 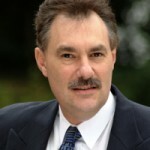 My guest, Frank Furness CSP is an international Sales & Technology Speaker and Social Media Presenter and has worked in 53 countries. Not only has he been inducted into the ‘Speaker Hall of Fame’, he has guested on many radio and TV shows and his You Tube channel is watched by millions. He has an Internet Marketing business with 72 websites marketing various products. ‘Walking with Tigers – Success Secrets of the World’s Top Business Leaders’ and ‘How to Find New Business and Clients’ are also International best sellers. The first show I did with Frank remains one of my favourites this will be another show not to miss! 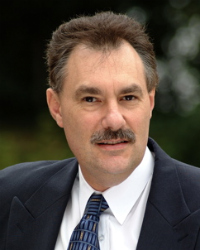 Frank Furness CSP is an international Sales & Technology Speaker and Social Media Presenter. He is a specialist in sales, technology, social media and goal setting. He has been a guest on many radio and TV shows and is past President of the Professional Speakers Association of Europe. He currently spends 70% of his time speaking internationally, in 53 countries. A regular speaker at Entrepreneurs University his clients include the British Olympic Team, The Professional Cricketers Association, Sporting Champions and Sport England. In 2007 he was awarded ‘Top Speaker’ for Vistage Europe and in 2011 inducted into the ‘Speaker Hall of Fame’. In 2013 he was awarded TEC Australia ‘Overseas Speaker of the Year’. Frank has an Internet Marketing business with 72 websites all producing income. He has been an avid supporter of video marketing and his YouTube channel has 650 videos, 4 million views and over 6,000 subscribers.Frank is also a partner in a successful Insurance Company in London.